Tourism Accommodation Australia (TAA) CEO Carol Giuseppi has hit out at Airbnb, claiming that residential properties are converting rapidly into commercial tourist accommodation, with some hosts renting out hundreds of listings in their name for more than three months in a year. Giuseppi said that TAA takes serious issue with ‘quasi hotels’ springing up across metropolitan areas, which she argued could potentially cost jobs and have a negative impact on future investment into New South Wales’ hotel sector. “More than 11,000 properties across metropolitan Sydney now fall into this category on Airbnb – that’s a third of its listings,” said Giuseppi. Giuseppi said one Airbnb host has 252 active listings across Sydney, with an estimated total earnings of more than AUD$3.8 million, while another has 182 active listings, with potential earnings of more than AUD$2.1 million annually. “We actually welcome genuine sharing and hosted accommodation in people’s homes, our issue is with “instant hotels” and residential properties being rented out for short-term commercial use. “Renting out premises for more than three months a year, plus the growing number of properties rented out by hosts with multiple listings, actually indicates a commercial operation not share accommodation – I’m not sure how anyone can argue otherwise? Giuseppi added that it is up to the State Government to take action and should look at regulation in other cities around the world. “There are a range of options that can be looked at to make the system fair for everyone. 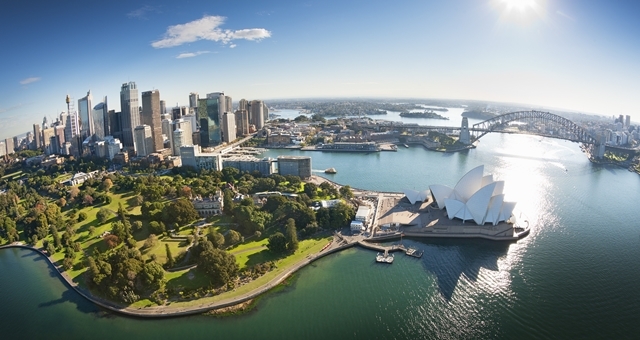 Last November, Accommodation Association of Australia aimed similar claims at Airbnb, saying reforms to the regulation of short-term holiday letting in NSW should see quasi-hotels banned. In a statement to HM, Airbnb hit back at TAA’s claims that more and more of Airbnb’s listings are converting into long-term commercial tourist accommodation, saying the association’s policies would only serve to hurt small businesses. Airbnb’s Head of Public Policy – ANZ, Brent Thomas, said: “Tourism Accommodation Australia’s latest comments are yet another example of a powerful vested interest trying to protect the bottom line of their members. Their excessive policies would only serve to hurt the people, small businesses and communities that rely on home sharing and the benefits it brings. “We will continue to urge the NSW Government to introduce fair, innovative rules for home sharing that reflect how people travel and use their homes today, just as there are in South Australia and Tasmania,” he told HM. Airbnb also fired back on the claim from TAA that one Airbnb host has 252 active listings across Sydney, while another has 182 active listings, saying it was “highly misleading” and argued that the examples TAA gave “most likely referred to a property manager or real estate agent managing properties on behalf of homeowners or some investors”. Airbnb’s statement went onto explain that some people choose to use a property manager to manage listing while they are overseas and unable to greet guests or clean the property.